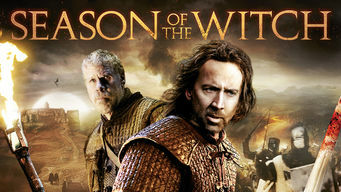 How to watch Season of the Witch (2011) on Netflix Argentina! Yes, Season of the Witch is now available on Argentine Netflix. It arrived for online streaming on October 7, 2017. We'll keep checking Netflix Argentina for Season of the Witch, and this page will be updated with any changes. A group of weary warriors transport a suspected witch believed to be responsible for spreading the devastating Black Plague. Battle-weary knights transport a witch accused of spreading the Black Plague. It's going to be a long journey.